'The Water Cure' Makes Toxic Masculinity Literal In Sophie Mackintosh's tart, twisted fairy tale, a family hides away on a remote island to escape a world in which men may actually be toxic. But their lives are upended when three castaways wash up. The word toxic has its origins in the poison arrows Greek archers carried into battle. But after half a century of oil spills, chemical runoff, and nuclear waste, it now carries the sense of seepage and pollution — in our water supply, air, food and, most recently, culture. We used to talk about patriarchy, rule by men, which carries a sense of top-down power and hierarchy. But now we talk about toxic masculinity, which instead reminds us of a poison that sickens poisoners and victims alike. In a way, Mackintosh is just picking up the thread laid down by the authors of Genesis. To punish Eve, God famously gives her pain in childbirth, but he also says, "Your desire will be for your husband, and he will rule over you." In other words, it's the straight woman's trap: You love men, but it is men who are most likely to hurt you, subjugate you, even kill you. So what are you supposed to do? 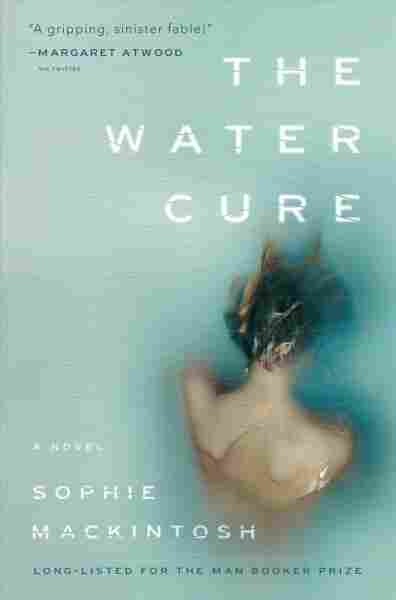 In The Water Cure, a family has sequestered itself on an island to protect themselves against this spreading poison. Three daughters, Grace, Lia and Sky, live alone with their mother and their father, whom they call King, and who claims to be the exception to the rule. They are just close enough to the mainland to see the in the distance "the round glow of the horizon, the air peach-ripe with toxicity." They fence their borders, kill animals who might be carrying the toxins, and submit to elaborate purifying rituals. "There is no hiding the damage the outside world can do, if a woman hasn't been taking the right precautions to guard her body." To keep them healthy, King has devised a complex series of grotesque cures and tests: the "drowning game," or "love therapy," when one sister does a gruesome or cruel task like killing an animal to spare another sister the same fate. These all come with their own grim paraphernalia: ice water buckets, fainting sacks, drowning dresses. But then King disappears, and three strange men wash up on shore. The girls were prepared for men to make them sick. But they weren't prepared for what the men might make them feel. Mackintosh excels at creating a sense of ambient, originless dread, of pending apocalypse. It's never quite clear if this is a true dystopia, if women are really getting sick, or they are living in a cultish separatist movement with extreme beliefs. But either way, growing up in fear and isolation, the bond between the sisters is deeply close, almost beyond love or hate. In fact, love for family is the only feeling the girls are permitted: "Part of what made the old world so terrible, so prone to destruction, was a total lack of preparation for the personal energies often called feelings. Mother told us about these kinds of energies." Feelings give off their own toxic smog, and require containment and purification. Mackintosh excels at creating a sense of ambient, originless dread, of pending apocalypse. One of the curious and interesting strains in The Water Cure is the unmistakable parallel between King's cures and modern "wellness" rituals. I've written before about the fact that so much of "self-care" culture resembles protective spell casting: oils and essences, petals and serums, cleanses and purges, all to make our bodies irreproachable, cleansed of toxins or free radicals or bad energy. Can it be a coincidence that women have become obsessed with ritual purifications at the same time as we began imagining that men are toxic? The Water Cure offers a twisted reflection of these cures. But in spite of the girls' rituals — salt rings, controlled drownings, self mutilation — the men still bring danger, if not exactly the kind they expect. They also bring a new idea — what power might feel and look like. Lia, watching one of the strange men, thinks, "There is a fluidity to this movements, despite his size, that tells me he has never had to justify his existence, has never had to fold himself into a hidden thing, and I wonder what that must be like, to know that your body is irreproachable." The Water Cure is not a simple book. It unspools ideas around solidarity and sisterhood, danger and gender, and the ways that families become their own toxic ecosystems. It takes that original, irreducible problem named in Genesis and asks it in a way that incorporates this increasingly prevalent idea of toxic masculinity and both gives it credence and names its limitations. The Water Cure doesn't, of course, offer a solution to that problem. But it does show us, in the bond between Lia, Grace, and Sky, that we have at least one tool not available to Eve back at the beginning of the world: sisterhood.